Many women taking birth control medications attribute weight gain to the pill. It's true that the estrogen in birth control pills may slightly affect your body weight. The good news is that effects on weight from oral contraceptives are small and may be due to water weight, according to Mayo Clinic. PubMed Health reports that while some women taking birth control pills do gain weight, others report weight loss. 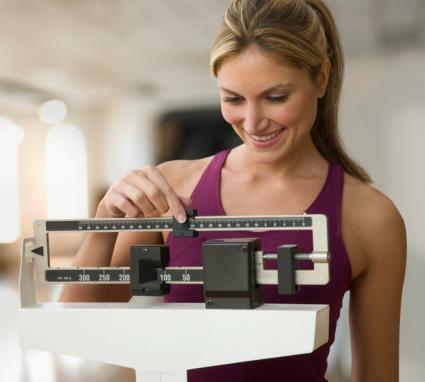 If you begin to pack on pounds while on the pill, knowing how to fight weight gain is a must. If you're gaining weight while taking birth control pills, talk with your doctor about switching to a different type of oral contraceptive. Each brand of pill contains varying amounts of estrogen, progestin, or both. Some pills may cause you to gain weight, while others could have no effect or even aid in weight loss. If the pill you're taking contains high levels of estrogen, check with your doctor about switching to a lower-dose estrogen pill or one that contains progestin only. A main way to combat weight gain when on birth control is to exercise regularly -- especially when you choose cardiovascular workouts. Exercises like jogging, swimming, and using an elliptical machine help you burn extra calories so you're less likely to pack on pounds. A 2013 study published in the journal Obesity found study subjects who burned 400 to 600 calories at least five days per week by doing cardiovascular exercise lost weight, while study participants who didn't exercise gained weight. Harvard Health Publications notes that a 125-pound woman burns about 400 calories jogging at a pace of 6 miles per hour for 40 minutes. Because green tea is low in calories, fills you up, contains caffeine, and may aid in weight loss, it's an excellent option for combating weight gain when you're on the pill. The University of Maryland Medical Center reports green tea and caffeine may improve weight loss, boost metabolism, burn body fat, and help rid the body of excess fluid. However, it's important to note that oral contraceptives can cause caffeine to stay in your body for longer periods. Making sure your diet is on track is one of the best ways to prevent unwanted weight gain. Choose protein- and fiber-rich foods because they help fill you up without the extra calories. Pick grilled chicken breast, fish, low-fat dairy foods, soy products, protein-fortified almond milk, whole grains, legumes, fruits, veggies, nuts, and seeds. Try a protein-rich smoothie with whey- or plant-based protein powder, low-fat milk or a dairy-free alternative, fresh or frozen fruits, and nut butter. Lowering your calorie intake helps you shed weight regardless of whether you're taking birth control pills. Cutting sugary drinks, candy, sweets, other added sugars, and refined grains -- like white bread and white rice -- is an excellent place to start. Lowering your intake by 500 calories daily generally helps you lose one pound per week. If you're retaining water weight, you may notice a slower rate of weight loss, at least initially. Cutting back on carbs is another good way to avoid unwanted weight gain. While some birth control pills cause you to retain water, so can eating too many carbs. Try boosting your protein and fiber intake -- but eat less bread, pasta, rice, tortillas, pancakes, pastries, bagels, potatoes, and other high-starch foods. If your diet is high in sodium, you're more likely to retain water weight and feel bloated when taking birth control pills. Sodium-rich foods include processed meats, canned meats, salted canned vegetables, pizza, cheese, soups, gravies, salad dressings, other sauces, canned entrees, pre-packaged dinners, olives, pickles, salted nuts, salty snacks like popcorn, and regular vegetable juices. A low-sodium diet contains less than 2,000 milligrams of sodium daily, according to the University of California San Francisco. Do Diet Products Affect Birth Control Pills? Losing weight using diet and exercise won't affect the effectiveness of your birth control pill. Even drinking green tea isn't problematic. However, if you're considering any type of supplement for weight loss, it's best to check with your doctor first. Some dietary supplements can decrease the effectiveness of oral contraceptives. Chances are taking birth control pills will only slightly affect your weight, if at all. Some pills may even help you lose a pound or two. However, if exercise and diet aren't doing the trick to prevent weight gain, talk with your doctor about switching birth control pills or picking a non-hormonal method of contraception.